Remember TOPO! 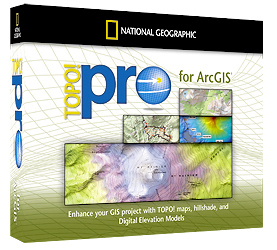 Pro for ArcGIS? Don’t bother using the Google if you don’t recall, because it is gone. If you’ve invested tons of money in the state series then you’ll be happy to know that there is a tool that allows you to convert the TPQ files to JPEG with a world file. TPQ Converter allows you to use the USGS data on the State Series CDs by converting individual or all TPQs located in a directory to jpgs with a world file. Then you’ll be able to use the output with any GIS application you wish. At my old company, we did have a most TOPO! states, but since I’ve moved to RSP, we’ve just used web services.